There are natural foods, which makes skin fair and healthy. It is necessary that we use it with proper combination. Rice, Milk & Honey: Apply mixture of four teaspoon boil rice, one teaspoon milk and one teaspoon honey on face. Wash it when it dries. It makes skin soft and young. It also removes spots from face. Almond, Lemon & Honey: Apply mixture of one teaspoon almond paste, lemon juice and one teaspoon honey on face. Wash it after 15 minutes. It improves texture of skin. Skin color become white and removes spots. Carrot & Honey: Apply mixture of two grind carrots and one teaspoon honey on face. Wash it after 15 minutes. It removes extra oil from skin. It also removes pimples and acnes. Skin color becomes clear. Yogurt & Potato: Apply mixture of one teaspoon roasted potato and one teaspoon yogurt on face. Wash it after 15 minutes. It cleans the color. It also moisturizes the skin. 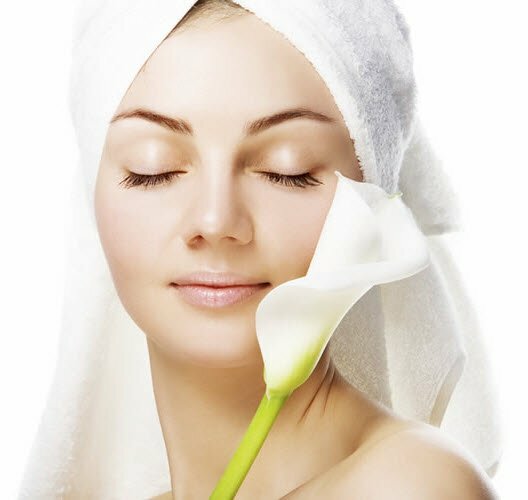 Oatmeal & Milk: Apply mixture of ½ half teaspoon oatmeal, 4 teaspoon milk and water on face. Wash it after 15 minutes. Skin gets moisturizer. It protects us from acne and pimples. Skin color also becomes clear. Tomato: Apply mixture of one tomato on face. Wash it after 10 minutes with lukewarm water. It protects us from acne and pimples. It removes extra oil and dead cells from skin. Banana & Honey: Apply mixture of one banana, ¼ teaspoon honey and 2 teaspoon honey on face. Wash it with cold water after 20 minutes. Skin gets moisturizer. Glow on face increases. Yogurt: Apply 2 teaspoon fresh yogurt on face and wash it after 20 minutes. It makes skin revitalize. Skin color becomes clear and gets young look. Masoor Daal & Milk: Apply 5 teaspoon soaked masoor daal paste and 5 teaspoon raw milk on face. Wash it after 20 minutes. It removes tanning. Skin becomes tight and wrinkles reduce. Gram Flour & Egg: Apply mixture of one teaspoon gram flour, egg white and few drops of lemon juice on face. Wash it after 15 minutes. Skin color becomes clear. Skin gets moisturizer. It also removes unwanted hairs.